Can I Drive After an Orthopedic Injury or Surgery? One of the most common questions people ask after undergoing a medical procedure is: "When can I start driving again?" When the procedure is related to an orthopedic injury, the concern is all the greater since it may require extensive immobilization, particularly if there has been surgery or a serious fracture. The simple answer is that it depends. If a body part is immobilized or a joint cannot bend, you should probably not drive. Driving involves specific movements that need to be accomplished without impairment before you can even consider sitting behind the wheel. If you have limited movement of a body part, you need to objectively assess how much your driving is impaired. For example, if you require extra hand and arm movements to turn the steering wheel or have to adjust your foot position when pressing on the brake, your driving is likely impaired to a point where you are less in control of vehicle than is reasonable. If the body part is not involved in driving, you still need to approach driving with caution. In the end, there are few body parts that are not involved in navigating a vehicle. If your neck is injured or back is sprained, it can affect your ability to look over your shoulder at a blind spot. Exceptions may include an injury to your left knee, ankle, or foot if your car is automatic and if the impairment does not alter the way you sit in the seat. If any form of sedative is being used, whether it be anesthesia to repair an injury or painkillers to treat injury-related pain, driving should be avoided without exception. Technically speaking, doctors cannot make any determinations regarding the safe operation of a motor vehicle. Despite what some might tell you, your doctor can neither "clear" nor "release" you to drive a car and is in no way liable if you get behind the wheel. While your doctor can advise you whether operating a vehicle is unsafe, he or she cannot make the legal determination as to whether your driving is actionable under the law. Only a law enforcement officer can do that. The only way to make a legal determination of your driving ability is to take a test with an appropriately trained licensing authority, most typically your local Department of Motor Vehicles (DMV). This is especially true if you are faced with a long-term recovery or have sustained permanent impairment as a result of an injury, disease, or surgery. You are taking wearing a device (such as a splint, cast, or brace) that limits joint mobility. You are taking an opioid pain medication or other drugs that can cause drowsiness. You would likely need to schedule a driving test with a certified evaluator using your own vehicle. Most DMVs offer specialized testing for people who have sustained injury or have been diagnosed with mobility or movement disorders. The determination of whether you can drive following an orthopedic injury is largely subjective given that driving ability can vary from one person to the next. With that being said, research has provided us insights as to which injuries warrant the most and least concern. One of the most extensive was conducted in 2016 by researchers at the University of Maryland School of Medicine in Baltimore and Thomas Jefferson University in Philadelphia. People with a right ankle fracture were usually restored to normal function a week after the cast was removed. People with a fracture in the right foot took an average of six weeks to have reasonable control when braking. People who had undergone repair of a torn anterior cruciate ligament (ACL) had to wait four to six weeks for the right knee and two weeks for the left knee before driving again. People with fractures of the right knee, ankle, thigh, or calf bone could reasonably return to driving after six weeks of weight-bearing therapy. People with below-the-elbow casts on the left arm added an average of 16.2 seconds to their driving response time, while those extending above the left elbow added 22.2 seconds. People who have undergone rotator cuff repair need to wait two to four months before mobility is reasonably restored. Shoulder joint replacement would take at least one to three months to return to 55 percent of your pre-operative capacity. Spinal decompression may require two-week recovery time, while cervical disc replacement typically requires six-week driving restriction. Carpal tunnel surgery on the right or left wrist require a recovery time of around nine days. People who have undergone lumbar fusion can usually return to driving soon after the effects of anesthesia have worn off. DiSilvestro, K.; Santoro, A.; Tjoumakaris, F. et al. 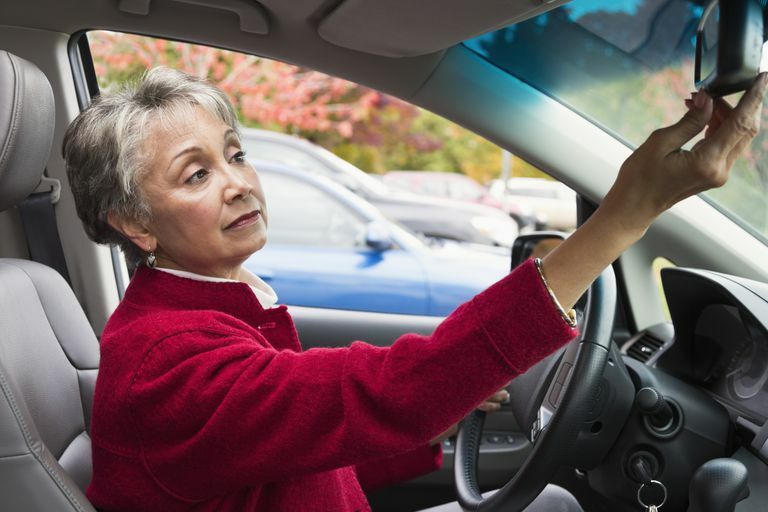 When Can I Drive After Orthopaedic Surgery? A Systematic Review. Clin Orthop Relat Res. 2016;474(12):2557-70. DOI: 10.1007/s11999-016-5007-9. When to Start Running After an Ankle Fracture? What Physical Therapy Can Be Done After a Jones Fracture?